Toe Walking in Children - Is It a Sign of a Problem? 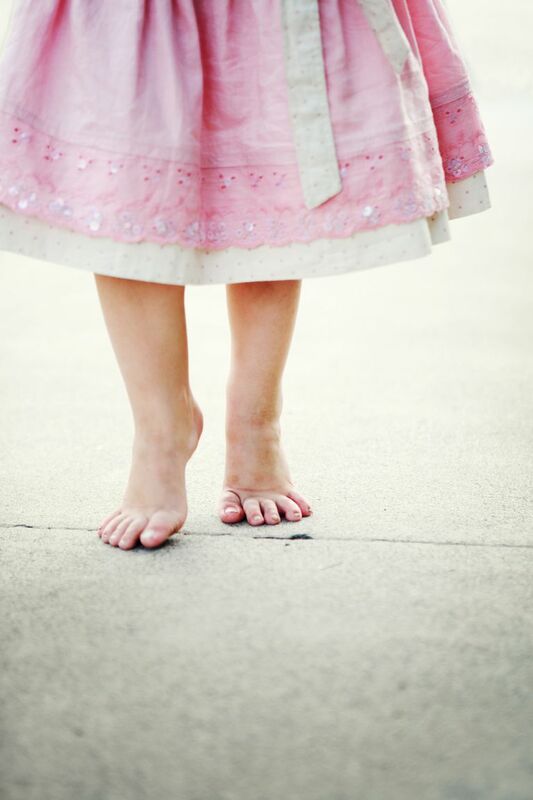 Toe walking is a specific type of gait often seen in young children learning to walk. Normal gait involves a specific sequence of events. These events are separated into two phases: stance phase and swing phase. The stance phase is the part of the gait cycle when the foot touches the ground. Stance phase begins with heel strike, landing your heel on the ground, and then rolling your foot forward, and then coming up on your toes to push off. Swing phase is the part of the gait cycle where the foot does not contact the ground. In toe walkers, the heel strike is skipped, and the individual lands on their toes, and maintains that position through the stance phase. Learning to walk takes time, and like learning anything, we don't always get it right the first time. Toe walking is normal in young children under the age of two years. Most children start off toe walking, and over the course of their second year, will gradually develop a normal gait pattern. Children who toe walk beyond age two may be evaluated to ensure they do not have any other condition that may cause toe walking. Toe walking beyond this age is not considered normal. There are several conditions that can be first diagnosed by persistent toe walking. This is not to say that children who toe walk beyond the age of two definitely have one of these conditions. In fact, most toe walkers are considered idiopathic, meaning no underlying condition can be identified. But children who do continue to toe walk should be evaluated for developmental or neurologic disorders. Some conditions that can cause toe-walking include cerebral palsy, Duchenne muscular dystrophy, and autism. As stated, toe walking under the age of two isn't abnormal. The most common treatment is to observe the child and see if the toe walking spontaneously resolves. No study has ever demonstrated long-term functional impairment in adolescence or adulthood as a result of toe walking as a child. Therefore, it's important that these children not be over-treated. Children who have persistent toe walking, with no other diagnosis that explains the condition, are usually started with some simple forms of treatment. The most common treatments include physical therapy, stretching, night splinting, and casting. If simple stretching does not help, placing a splint or cast to provide a constant stretch may help to loosen the tight heel cord. More recently, some doctors have been using Botulinum toxin, also known as Botox, to relax the tightened calf muscles. Just like facial wrinkles are relaxed with these injections, Botox can relax the tight calf muscle. Surgery is used to lengthen the tight heel cord. There are several surgical techniques used, but most involve some variation of making the Achilles tendon longer, to allow the heel to land before the toes when walking. Often, casts are used postoperatively to ensure the tissues do not tighten back up when healing. Surgery is generally reserved for children who have failed the aforementioned non-surgical treatments. If a child is toe walking under the age of two, observation is clearly the best treatment plan. Over the age of two, children should be screened for developmental or neurologic disorders that could potentially explain the persistence of the toe walking. If none are found, the toe walking is described as idiopathic, meaning no underlying cause can be identified. Idiopathic toe walkers over the age of two can continue to be observed, especially if they're improving, or simple stretching or casting can be considered. If these simple treatments fail, surgery may be considered to lengthen the tight heel cord. Oetgen ME and Peden S. "Idiopathic Toe Walking" J Am Acad Orthop Surg May 2012; 20:292-300.